The Regiment always looks after our soldiers and their families, both in service and after they have retired. The Fusilier Aid Fund distributes grants to those who bear the physical and mental scars of combat in the service of our country; and to those who have fallen on hard times through no fault of their own. The Fund always welcomes donations, no matter how small, so that our charitable work can continue to look after our Fusiliers. £1,000 to ex Fusilier with a disabled child. FAS contributed to car adaptions so that she can participate fully in the family activities. £1,000 to ex Fusilier who had serious debt and was threatened with eviction. ABF also supported with £1,190. £982 to ex Fusilier (aged 88) for an EPV. £1,000 to widow of ex Lancashire Fusilier for a stairlift. ABF also granted £2,000. 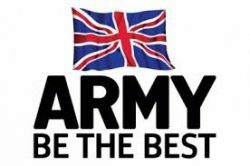 £400 to ex Fusilier for boiler repairs. FAS brings its network of charitable resources to help our Fusiliers in difficulty. 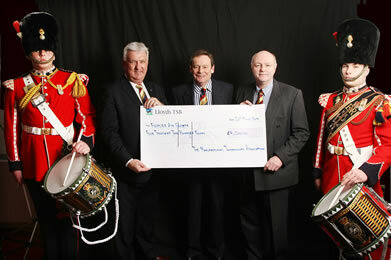 Every year, FAS helps over 200 serving and former members of the Fusilier family, and distributes over £125,000. What’s more, there is always a need for FAS services. No case is typical, everyone faces a different problem; and we are seeing more complex situations that need greater inter-charity liaison to ensure we get the best outcome. But one of FAS’ greatest strengths is that there are few challenges we haven’t seen – and resolved. FAS works in close partnership with The Army Benevolent Fund, The Soldiers Charity, who continue to assist many serving and former Fusiliers. 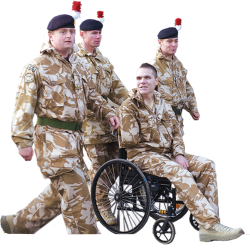 We also foster close links with the other main military charities so that they too offer our veterans support from their resources. If FAS cannot meet all the needs of a Fusilier, we seek help from our charitable friends, help which is rarely refused. How can you help FAS’s funds thrive and grow ? Who gives to FAS ? Anybody can, including you. It doesn’t have to be much. But as they say, “every little helps”. In a normal year, FAS will receive over £50,000 in donations. The staunch friends in our associated Worshipful Companies are particularly generous, as are the Association Branches who rattle tins on the street – fund raising on the front line. The remaining donations come from individuals and groups who run, jump, raffle, collect, tombola and take on all kinds of sponsorship challenges. And there is a small, but generous, group of regular donors, who donate by monthly or annual direct debit. Wherever the money comes from and whatever the amount, FAS and RHQ RRF are immensely grateful. We are constantly amazed at the kindness of people like you and we make absolutely sure every penny of your contributions make a difference to a Fusilier in dire straits. help you set up a regular donation, with Gift Aid to benefit FAS even more. He is on [email protected]. He will be pleased to hear from you.